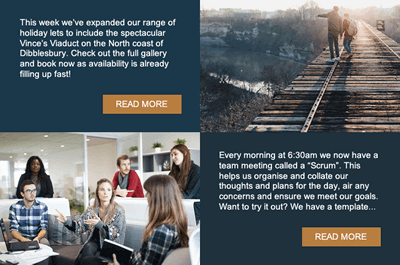 We’re often asked for ideas on creating campaigns that aren’t just an ezine, mail shot or newsletter; this week’s blog will help you dust off your creative side and start making some engaging content for your subscribers to bite into! We’ll be taking a look at digests, automated birthday emails, seasonal themes, re-targeting campaigns and staff communications. Instead of creating a long newsletter, why not create a digest? There are huge benefits to creating content in small bite sizes. By bite sized we mean a heading followed by the leading sentence of an article, or a short summary of it, with a clear call to action that will reveal the whole piece. Not only will you gather valuable feedback on the most popular topics via the click-through reports, this method means you can appeal to more of your subscribers’ interests in one email without it growing too long. 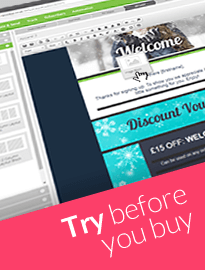 If the landing pages are also all on your own web space, then you’ll also be increasing your website traffic and conversion rates. Every account within NewZapp regardless of package has the tools to make automated birthday campaigns. 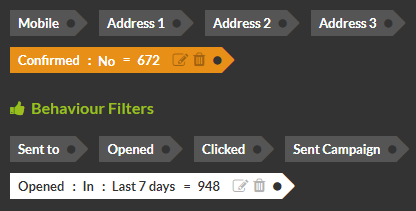 All you need is to include your subscribers’ birth date in your data. Although it doesn’t have to be their actual birthday, it could be an anniversary of when they subscribed to your database, their first purchase or even your own company’s birthday! As we’re now in September, it’s OK for us to talk about Christmas and the holiday season, right? 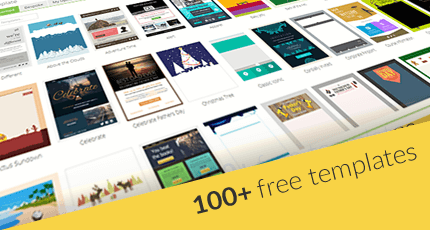 Did you know that in your NewZapp account you’ll find lots of FREE themed and seasonal templates, for you to easily style campaigns for Halloween, Christmas, New Year etc. 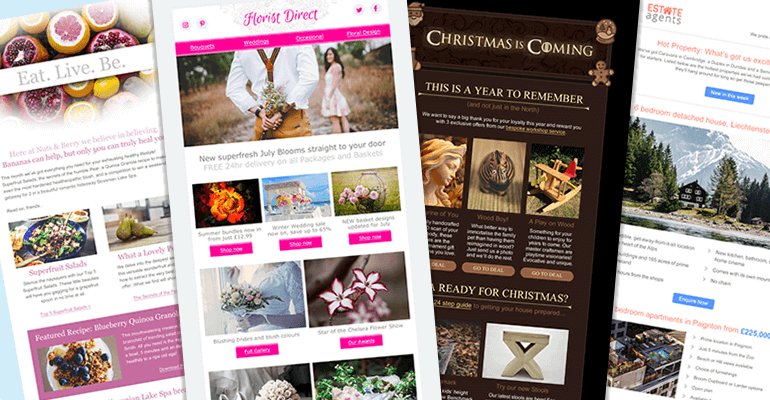 You could use one of our seasonal templates to send greetings to your subscriber base with times of last delivery before Xmas, encourage them to plan ahead with a countdown clock of shopping days left, distribute office opening times during December or even an invite to your Christmas party for all your staff! Using segmentation or exporting data from your recent campaign, you can grab those wavering leads and reign them in; with a dedicated email campaign. Using segmentation you can filter your subscribers, enabling you to target those who haven’t clicked or opened a past campaign or campaigns over a period of time. Alternatively you can use tools in NewZapp Track to export similar data per specific past Campaign into a new target Group. Using this data can help you add an additional strand in your marketing strategy using your NewZapp campaigns bringing you a further return on your investment! In your NewZapp account you will see that we include outlook style as a template, you can use this to build an email signature and an email campaign that looks like its being sent via a regular inbox. You can then send emails to staff, potentials or customers and track the open rates without the need to set a ‘Read receipt’. NewZapp also offers a complete Internal Communications solution designed to keep employees and team members engaged and informed. Emailing your subscriber base the same thing over and over can cause email fatigue. We recommend reviewing your style of communications at regular intervals, looking for peaks and troughs of engagement – and definitely mix it up if you can!